At Open Door, we approach therapy in a manner like no other. From our caregiver involvement, to our therapy rooms, we will show you why we are different. And also, why it's good....no....great to be different. if you take away the walls. From sensory integration, to fine motor delays, to needing help with activities of daily living: our Occupational Therapists can help! 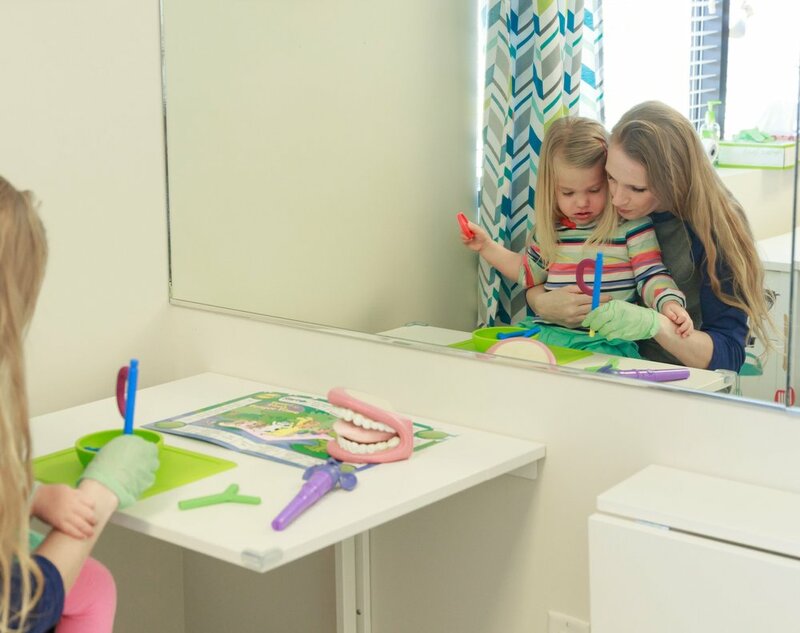 Our team is extensively trained in sensory and neuro-based therapies to assess reflexes, visual-motor skills, self regulation needs, & sensory needs, to name a few. Our Speech Therapists use a floor time approach to get on the child's level and make therapy functional. Speech Therapy helps with language delays, speech sound delays, oral motor coordination disorders, & more. Our dynamic space allows Physical Therapists to work in ways you've never seen. We treat kiddos with torticollis & plagiocephaly, motor coordination delays & other gross motor anomalies. From walking, to standing, to crawling, & everything in between. We have you covered. Meals can be tough with varying complications. For some, eating/drinking is unsafe while others have aversions to textures, tastes, & smells. Did anyone say picky eaters? We hear you. We will help you. 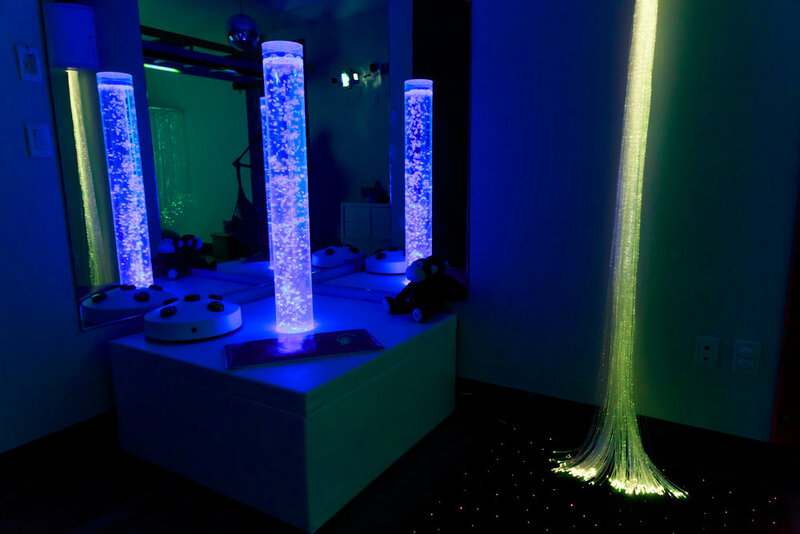 The Snoezelen room is specifically designed for individuals with autism & sensory processing difficulties. It’s a soothing environment with lighting, swings, textures, sounds, & aromatherapy. It is the zennest of the zen. 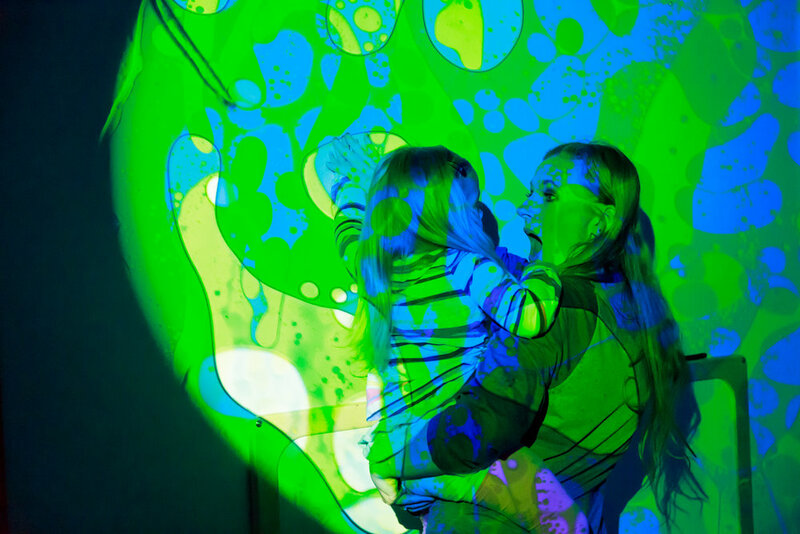 Our dynamic and highly interactive sensory gym rivals any playground. Zip lines, swings, & interactive fun means we can keep up with & challenge any child. We had you at zip lines, didn't we? We also offer several other theme based rooms. Most of our therapy is floor-time based. 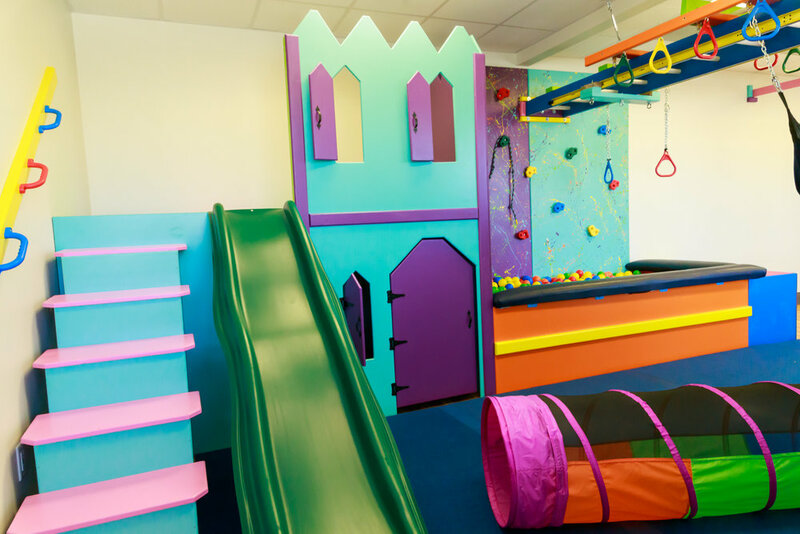 Our various rooms allow therapy to be functional and carry over easily into the child's home life & school life. Leave the table top work & the rote therapy styles behind. We want to see changes in your child, but more importantly, we want you to see changes in your child. We involve the parents & their support system. We take pride in giving the parents & caregivers the power. We like to say, we want to make *you* the therapist. In addition, we understand how stressful life can be for caregivers of any child. Balancing and coordinating therapies and schedules for a child with special needs is no small feat. We have two full body massage chairs, noise cancelling headphones, & refreshments to facilitate a peaceful state of mind. Let us take care of you while we take care of your child. Open Door has been rated one of The Top 20 Best Physical Therapists in Houston 3 years in a row! Open Door has been rated one of The Top 15 Best Speech Therapists in Houston 3 years in a row! Open Door was rated The Best Occupational Therapists in Houston!